The little islands of the Cordillera Reserve, north east of Fajardo, offer wonderful exploring for adventurous nature lovers. 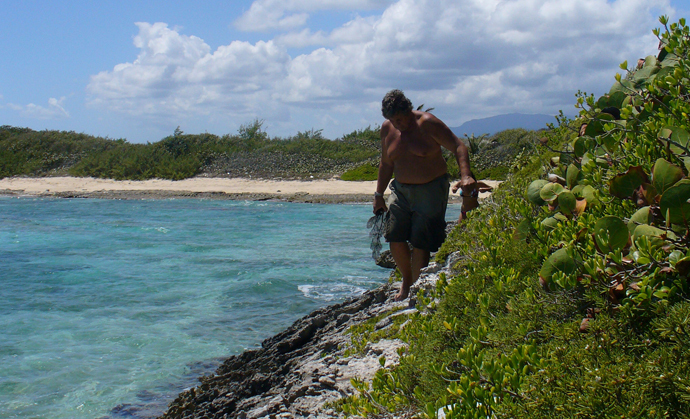 This page photos are of the backside of Icacos that can only be reached by motorboat. Two ways to reach Icacos, one is the private boat snorkeling charter with Elena that visits several offshore reefs and the other is by water taxi to the front side of Icacos... for a gorgeous day at a fabulous beach. Below is a backside beach called Los Lirios. More Icacos photos. The little islands of the Cordillera Reserve, north east of Fajardo. 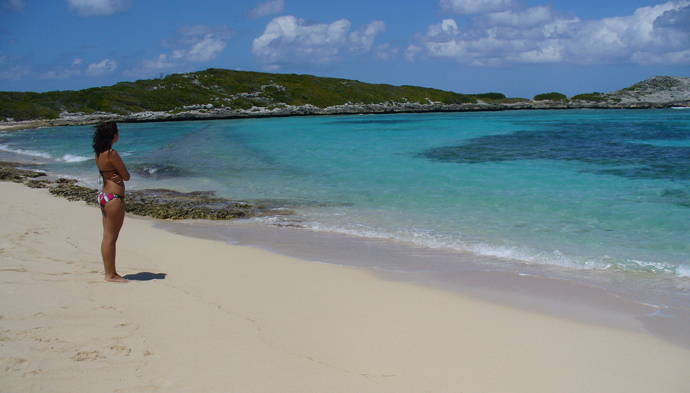 Be lazy and spend the day on the beach and in water this clean, this clear and this turquoise! This little beach above is all you need for a memorable day. The adventurous can hike over the 'far horizon' and explore a series of little rocky beaces ( but you need shoes that can get wet). The reefs below offer wonderful snorkeling, you do need to charter a boat to explore these, and many other, reefs in this string of little islands. More Icacos photos. 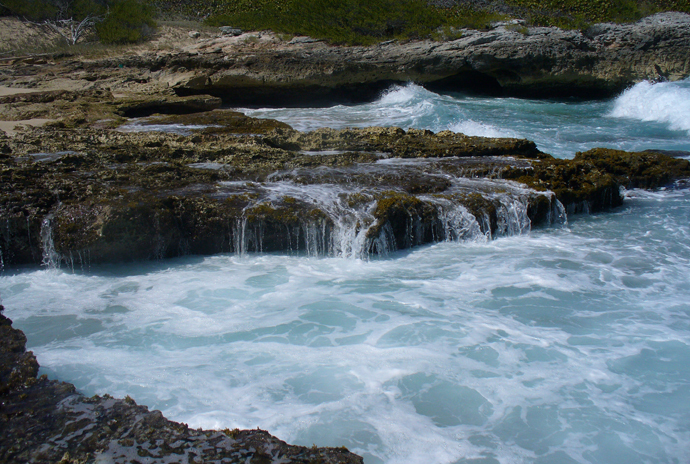 Below is a backside beach where the ocean breaks over the rocks.. More Icacos photos. Remember you must take everything with you and bring everything back. There are NO facilities on Icacos. It is very crowded on summer weekends with people on their private boats.